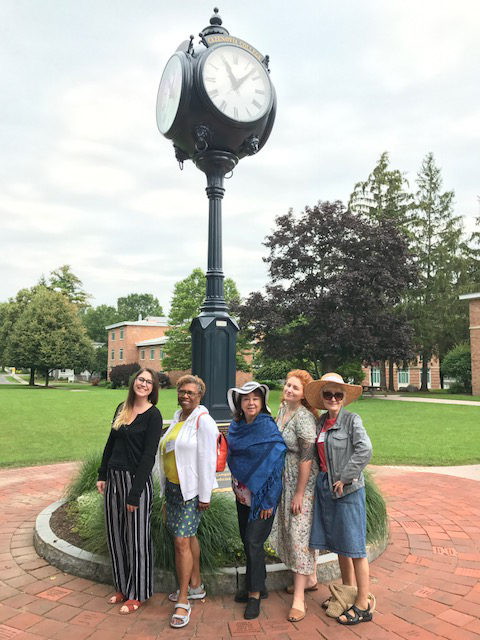 AAUW NYS Summer Leadership Conference in Cazenovia College, Cazenovia, New York. 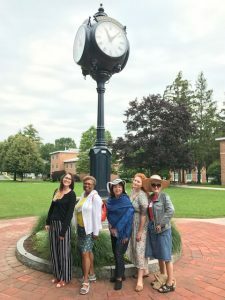 The Empire State Virtual NY Branch (ESVB) members always actively participate in this Summer Leadership Conference but this year was very special to us because we celebrated our 5th Anniversary! 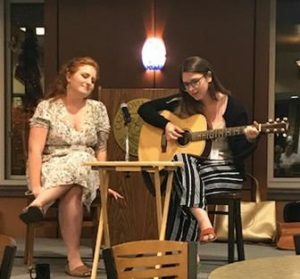 and Ali Comerford, from Ireland and a recent graduate of the Manhattan School of Music entertained us, sang and played the guitar and inspired great moments of joy as we continue to live our AAUW mission to advance equity for women and girls through advocacy, education, philanthropy and research. This entry was posted in AAUW NYS Leadership, General and tagged AAUW, AAUW Leadership on December 25, 2017 by drrani. Congratulations to AAUW’s Senior Leadership! 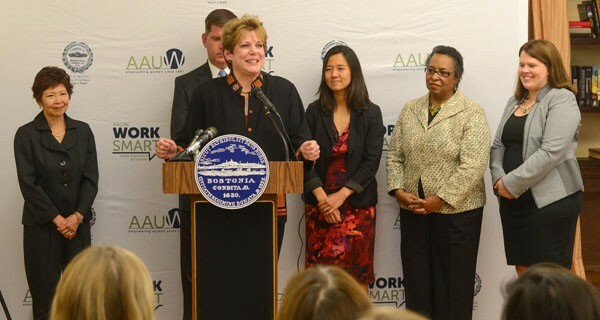 In October, the mayor, the city’s Office of Women’s Advancement, and AAUW leaders announced an ambitious initiative to offer free AAUW Work Smart salary negotiation trainings to half of Boston’s working women in the next five years. That means training 85,000 women to negotiate higher salaries and better benefits — and making a dent in the gender pay gap, which stands nationally at 21 percent. Women working full time in the United States typically are paid just 79 percent of what men are paid, and it’s even worse for most women of color. The gender pay gap starts just one year out of college, and it only widens over the course of a career. One of the many ways that AAUW is fighting the pay gap is by empowering women to negotiate for what they’re worth. That’s why, in 2014, AAUW acquired the Start Smart and Work Smart salary negotiation programs, which focus on college women and working women, respectively, from collaborator WAGE Project. This entry was posted in AAUW NYS Leadership, General and tagged AAUW, AAUW Leadership, Economic inequality, Gender pay gap on January 5, 2016 by drrani.